Disclosure: I received complimentary park tickets to experience the magic of Walt Disney World and facilitate this review, but all opinions, photos, travel, lodging, meals and tips are all my own! Gorgeous flowers, farm-fresh food and cocktails, inventive topiary displays and music - the Epcot International Flower and Garden Festival is a celebration of so many of my favorite things! I visited the Epcot International Flower and Garden Festival while I was at Walt Disney World last month for the Star Wars Dark Side Half Marathon weekend of events. On Dapper Day I got all dressed up, went to Magic Kingdom for Dapper Day fun, went to Animal Kingdom for Tarzan and Expedition Everest fun, then went to Epcot for an early dinner and flower fun. It was a wonderful way to end my day and evening. There's heaps of stuff to see and do, so I've put together a handy little 6-step guide to get you going. This is absolutely a family-friendly event, but if you can escape with a sweetheart - it can be a pretty romantic outing. Or you can do what I did and escape everyone for a solo good time. 1. Download the 2016 Garden Passport (scroll through images below) or pick one up at any kiosk in the park. If you're like me you'll use this digital version to plan ahead then grab a hard copy in the park. 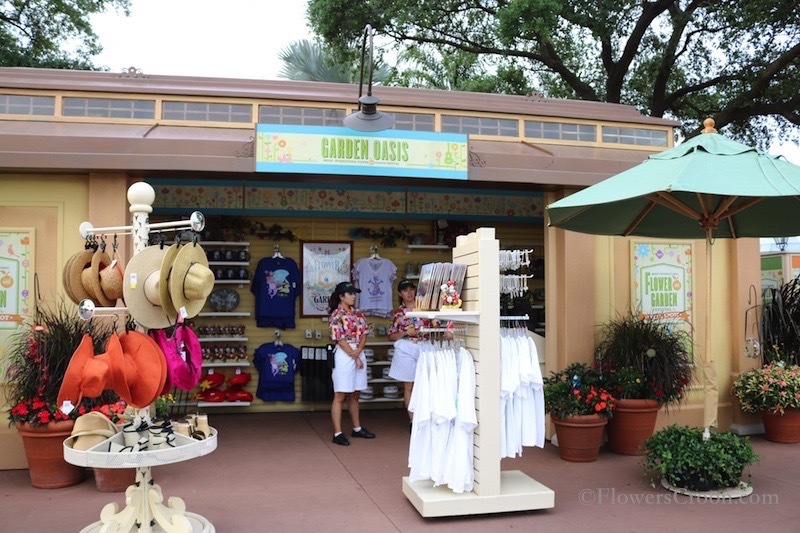 The Garden Passport serves as your map and guide to the event, plus as a fun bonus for kids (and big kids) you can have your passport book stamped at various locations throughout Epcot. The Garden Passport also provides dates and times for additional events such as concerts and presentations. 2. Stop to smell the roses, take photos and strike a pose. After running a 10K and park hopping all morning there was really no better way to wind down than to savor every beautiful corner of Epcot during this event. In addition to the Topiary displays, there are various photo spots where you can capture a photo of your family. I enjoyed being there alone and taking it all in at my own pace - nice and slow. I brought my new Canon and snapped photos as well as stopped at the PhotoPass stops for photos I could download later from Memory Maker. 3. Let the kids play. If you have kids with you - let them play! Just outside of the Urban Farm Eats area you'll find one of two interactive play areas for children, the Music Garden Melodies Playground. It is beyond cute! The second location is a Cars inspired playground along the Test Track Walkway named Cactus Road Alley. 4. Let the grown ups play! There's a variety of food, cocktails and entertainment for the grown ups. From Caribbean inspired foods to Pineapple cocktails and farm-to-table goodness, there is something for everyone to enjoy! Use your passport to guide you or just walk around the World Showcase and find something delicious. I recommend Cider House, La Isla Fresca and Urban Farm Eats. There are also tours you can sign up for (at an additional cost). Tip: The tea garden tour is free and fills up fast! 5. Shop. I bought the most amazing Yoda garden stone I've ever seen in my life for my sweetheart. He LOVED it. Be sure to stop and check out the merchandise specific to this event. Yes, I bought pins too! 6. Learn! The best events and experiences are the ones we learn from. I loved the Butterfly Habitat and the Bonsai Collection, but my favorite exhibits were those near Urban Farm Eats in the Showcase Plaza. There were so many tips on growing your own food in backyard gardens that I left really excited to go home and start planting again. If you can make it to Walt Disney World before the end May, be sure to set aside time to enjoy the International Flower and Garden Festival at Epcot. You will leave feeling full, inspired and refreshed!